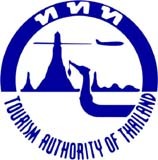 Chiang Mai Tour Package A. Meet and greet at the airport with a warm welcome by our tour representative and transfer to the hotel. Transfer back to hotel and Overnight in Chiang Mai then relax on your own leisure. Handicraft at Borsang and Sankampaeng; is famous for its hand-painted silk and cotton umbrellas as well as paper parasols. They are decorated with vivid animal and flower patterns in all sizes and colors. The road leading to the village is lined with a host of interesting factories and shops producing and selling silverware, lacquer ware, earthenware and ceramics, particularly celadon, and leather ware. Halal dinner at restaurant and try experience night shopping at Chiang Mai night bazaar. Overnight in Chiang Mai then relax on your own leisure. Romena Grand Hotel *** 5,400 THB. 5,000 THB. 4,700 THB. +1,100 THB. Pronping Tower Hotel *** 5,600 THB. 5,200 THB. 4,800 THB. +1,300 THB. Suriwongse Hotel **** 6,400 THB. 5,900 THB. 5,600 THB. +2,100 THB. Dusit Princess **** 7,400 THB. 6,900 THB. 6,600 THB. +3,100 THB. Romena Grand Hotel *** 5,200 THB. 4,800 THB. 4,500 THB. +900 THB. Pronping Tower Hotel *** 5,500 THB. 5,100 THB. 4,800 THB. +1,200 THB. Suriwongse Hotel **** 6,300 THB. 5,800 THB. 5,400 THB. +2,000 THB. Dusit Princess **** 7,200 THB. 6,700 THB. 6,400 THB. +2,900 THB. 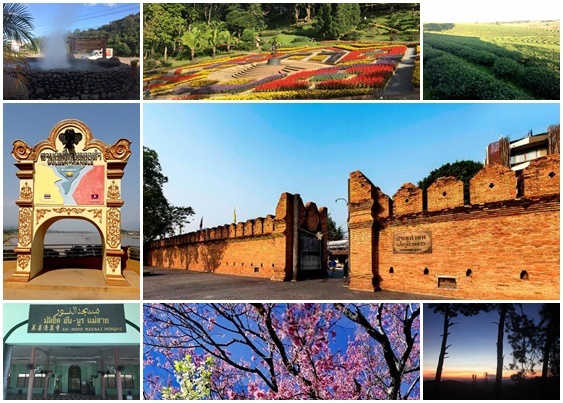 Chiang Mai & Chaing Rai our package B. Proceed to Chiang Rai, on the way drop at Mae Khajan Water Hot Spring. 19.00 - 20.00 pm. Halal dinner at restaurant. Transfer back to hotel and Overnight in Chiang Rai then relax on your own leisure. From a natural boundary between the three countries. Optional Tour: Boat trip on the Mekong River and Laos PDR Border. Halal lunch at restaurant and pray. Precious stones produced in Myanmar. 06.30 am. Breakfast at your hotel (International foods)* and wait our driver at hotel’s lobby. 15.00 pm. Halal lunch at restaurant. Free for leisure at your hotel. Free and relax on your own leisure. Check out Transfer to Chiang Mai Airport International for flying back to your country with a pleasant trip. Romena Grand Hotel *** 7,800 THB. 7,200 THB. 6,600 THB. +1,700 THB. Pronping Tower Hotel *** 8,000 THB. 7,400 THB. 6,800 THB. +1,900 THB. Suriwongse Hotel **** 9,100 THB. 8,500 THB. 7,900 THB. +3,000 THB. Dusit Princess **** 11,100 THB. 9,500 THB. 8,900 THB. +4,000 THB. Romena Grand Hotel *** 7,500 THB. 6,900 THB. 6,300 THB. +1,400 THB. Pronping Tower Hotel *** 7,800 THB. 7,200 THB. 6,600 THB. +1,700 THB. Suriwongse Hotel **** 8,700 THB. 8,100 THB. 7,500 THB. +2,600 THB. Dusit Princess **** 9,700 THB. 9,100 THB. 8,500 THB. +3,600 THB. The program can be moved either on your first or last day depends on your flight schedule..